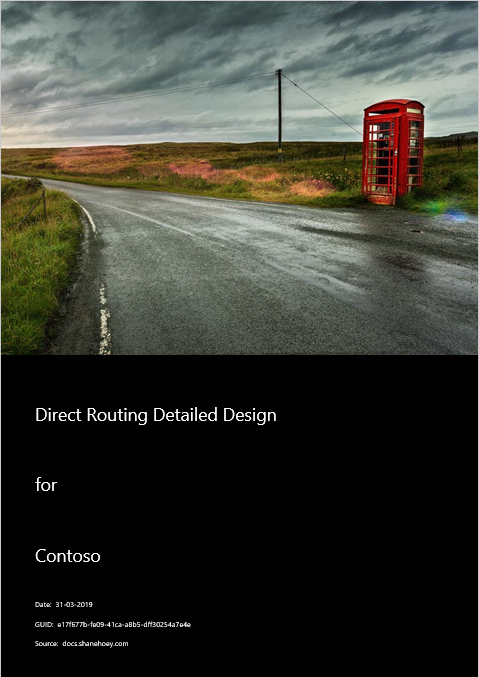 Download a customized Direct Routing Design Document for Microsoft Teams! Create a Document for free! A complete customised Design Document for free! Covers indepth SBC configuration including ready to run configurations. 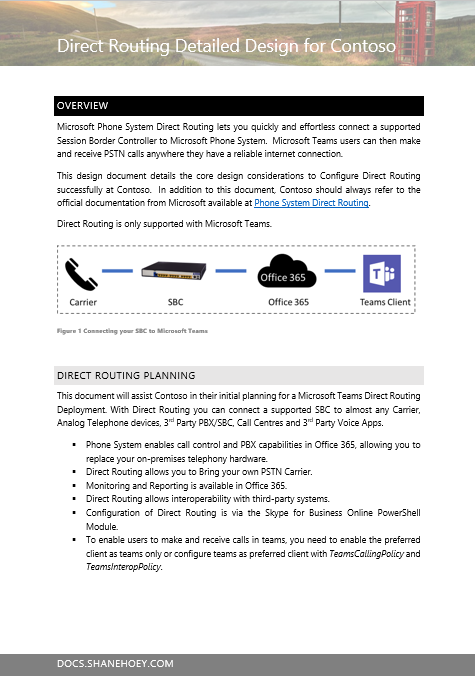 Covers the licensing requirements to get your users using Microsoft Phone System today. Covers Firewall & Network requirements with detailed requirements so that you can get deploying quicker. As the document is MIT licensed, you can use it commercially, just open the PDF file in MS Word and copy it to your own template, All I ask is that you give a bit of credit!